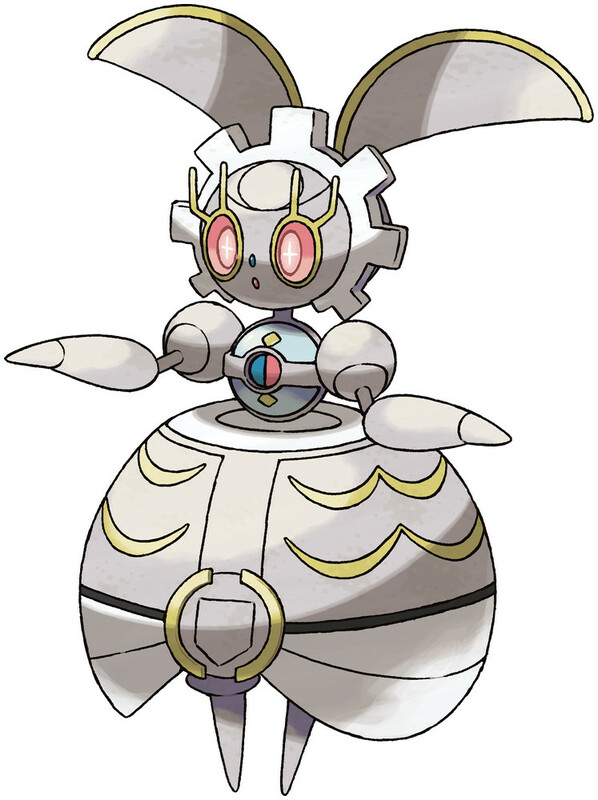 Magearna is a Steel/Fairy type Pokémon introduced in Generation 7. It is known as the Artificial Pokémon . Magearna is a Mythical Pokémon that was created by a scientist of uncommon genius 500 years ago. Magearna has the power to perceive the emotions, thoughts, and feelings of other Pokémon. If a Pokémon is injured, Magearna will feel the other’s pain and suffering and will try as hard as it can to save that Pokémon. 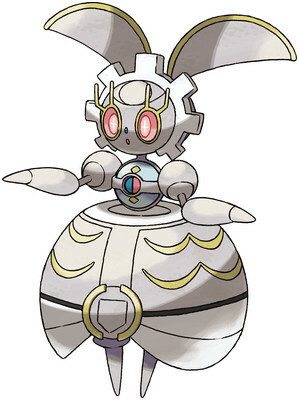 Magearna's real body is the spherical construction in its chest called the Soul-Heart, created by a scientist who gathered the life energy from Pokémon. Magearna is obtainable in Sun/Moon by scanning a special QR code. The effectiveness of each type on Magearna. In Pokémon Sun & Moon, Magearna has a base experience yield of 120. This beautiful form reflects Magearna’s appearance when first presented to a king’s daughter 500 years ago. Magearna learns the following moves in Pokémon Ultra Sun & Ultra Moon at the levels specified. Magearna does not learn any moves by breeding in Pokémon Ultra Sun & Ultra Moon. Magearna learns the following moves in Pokémon Sun & Moon at the levels specified. Magearna does not learn any moves by breeding in Pokémon Sun & Moon.